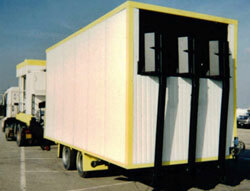 Our melting plant mobile model have got a 27 drums capacity, meaning 6 tons per hour output. 2 burners allow a fast temperature increase and a high quality thermal exchange. 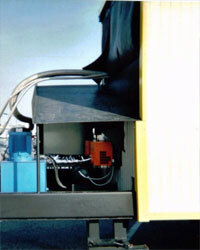 Feeding arms are hydraulic cylinders equipped allowing the feeding on the chosen track.